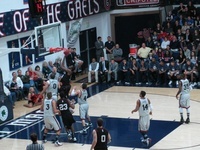 MORAGA, Calif.— Trailing the Harvard men’s basketball team, 69-68, with 1.1 seconds remaining in Monday night’s contest, St. Mary’s forward Mitchell Young found himself at the free throw line shooting one-and-one. And the senior—whose team closed the second half on a 12-1 run—came through in the clutch for the Gaels, knocking down both attempts to give his team its first lead of the contest. 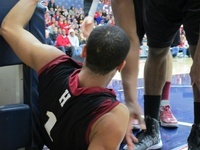 After a Crimson timeout, sophomore Steve Moundou-Missi launched a desperation pass toward the other end of the court but Harvard—which led by as many as 18 points on New Year’s Eve—didn’t connect in the final second, falling to the heavily favored St. Mary’s squad, 70-69, at McKeon Pavilion. With 3:56 to play, sophomore Jonah Travis—who ended the contest with a game-high 19 points—dunked the ball to push Harvard’s then-dwindling lead to 10. But from there, it was all St. Mary’s. The Crimson (7-5) added just one more point to its total—a single free throw with 1:30 to play from co-captain Christian Webster—as the Gaels (11-3) closed the gap. “It was one of those dream stories, and fortunately we were on the positive end of it,” said St. Mary’s coach Randy Bennett. Young converted a layup and four free throws in the final 3:36 of the game to end the contest with a team-high 16 points. 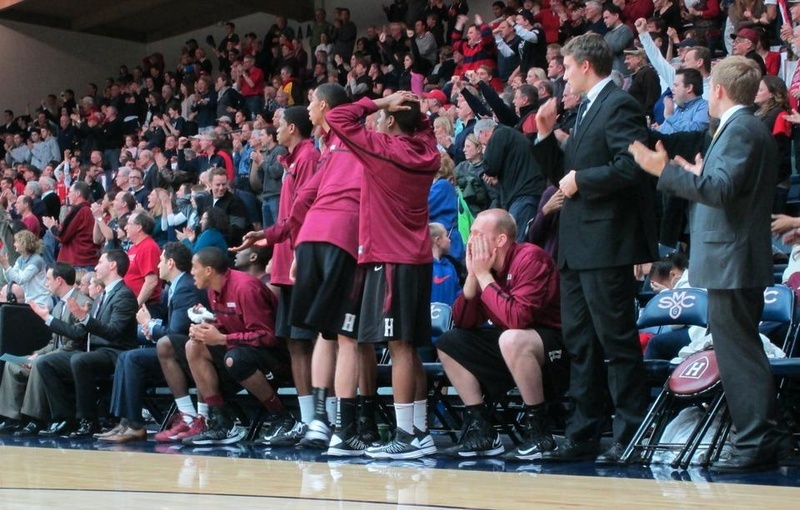 On the other end, Harvard turned the ball over three times and missed two free throws during that final stretch. St. Mary’s earned a total of 16 offensive boards to Harvard’s six over the course of the game, though both teams ended the contest with 21 rebounds on defense. 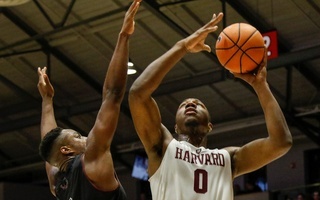 Despite entering the second game of its West Coast swing as 12-point underdogs, Harvard held a commanding 35-21 lead over St. Mary’s at halftime. But the Gaels crawled back into the contest, thanks in part to an impressive second-half effort from deep. After shooting just over 11 percent from three-point range in the first half, the Gaels knocked down their first five attempts in the second, pulling within 10 points of the Crimson with 16:40 remaining. But sharpshooting from the Harvard guards—Chambers and Rivard were a combined 8 for 9 from three-point range on the game—helped the Crimson maintain a lead for all but one second of the second half. Harvard came out strong at the start of the contest, claiming a 9-3 advantage in less than four minutes of play—headed by a six-point effort from Travis—and did not relinquish the advantage at any point in the opening frame.